Aussie Tyler Wright wins maiden surfing title for late uncle. Aussie Tyler Wright wins surfing world title after promising her late uncle she would. 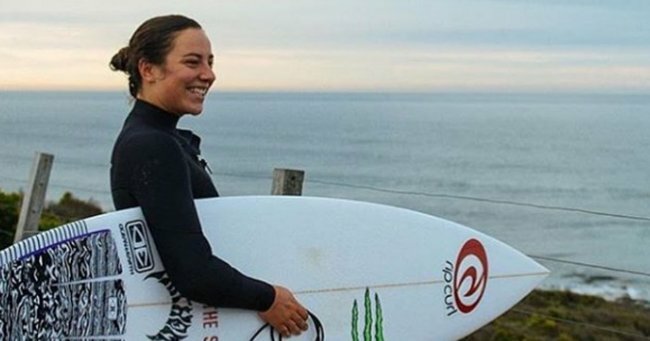 Australian Tyler Wright has won her first world surfing title at the Roxy Pro France, fulfilling a promise to her late uncle. The 22-year-old claimed her victory at Hossegar in France after American rival Courtney Conlogue was toppled in the semi-finals yesterday. Although Wright lost to three-time world champion Carissa Moore in the final, the overall World Championship was hers. “There’s a lot that’s gone into this, a lot of hours. A lot of fun,” said Wright, who won four events this year. Reports say it was an emotional scene, as it marked the end of a difficult 12 months for the surfer. Her older brother Owen, who is also a professional surfer, has been going through a very public recovery from a serious brain injury he suffered while competing. I’m glad you’re still alive….I would of been next level mad AF. I Love you. Lesser known was that Wright was also dealing with another personal battle – the death of her uncle. “There’s a lot of reasons why I set out to win this world title this year, a lot of reasons I didn’t mention to the public,” Wright said. “Last year was such a hectic year, even this year … I lost an uncle and this was his last event that he ever saw me compete in. A lot of emotional moments but pretty much from that moment, I promised him I’d win a world title. And I did. Although the 22 year old had a commanding lead into the second last event of the season, her victory wasn’t confirmed until the final seconds of the second semi-final when Conlogue’s scores were read out. Six-time champion Stephanie Gilmore was on hand to give the champ a huge hug to kick off celebrations.